This respected and innovative artist was willing to push the boundaries with his work, constantly trying out different technical approaches and artistic styles. 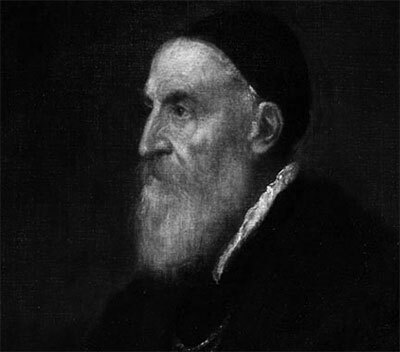 Titian developed an international following during his later years and this is part of the reason for how his reputation was to become so strong all across of Europe. This is reflected in how his original paintings are now strewn all across the continent, and beyond in a variety of private collections and national galleries. Titian is known to have increasingly used a Mannerist style shortly after a trip to Rome. It is more than likely that his meeting with Michelangelo during this visit proved influential in that change of direction. Titian was a 16th century Italian artist whose paintings are considered amongst the best right across Europe during this period. This website is entirely devoted to Titian paintings and also includes good information on the life and career of the painter in general, as well as considering which were his finest works of all. For those interested in finding out more, there is a fuller list further down the page which covers all his paintings of note. By the time that Titian came along the Italian Renaissance was in full swing and helping to shape the future of European art with it's new way of thinking which covered not only painting but also drawing, sculpture, architecture and much more. Titian fitted into what has become termed the High Renaissance which came at a time when Italy had established itself as the major force with the whole of the continent and it's paintings were inspiring other artists across Germany, Netherlands, France, Spain and Britain. Titian liked to tackle different types of objects within his paintings and successfully produced landscapes, portraits and also religious and mythological themes too. Portraits were the most frequently seen genre during the Renaissance periods and Titian's career was certainly not short of these, with high paying commissions typically requiring flattering portrayals of the paying customer. Aside from these the artist had enough time to also experiment with many other ideas to help his career achieve a lasting presence. Titian's classic paintings are very popular even today within the mainstream art world, with his original paintings most frequently ordered as reproduction copy prints, posters or stretched canvases. The Renaissance artists are all best suited to high quality framed giclee art prints and Titian is certainly no different to this. His wide ranging career means that many different works from his career are popular as reproductions and you will see from the images listed below quite how extensive his career was. Titian was predominantly respected for his careful selection of colours and understanding on how to combine tones to achieve the exact result that the artist desired. Several elements of his technique and innovation were highly unusual at that time and helped to shape new ideas within the mainstream for many artists who followed in the generations after the Renaissance had finished. To be regarded as one of the major figures with in the Italian Renaissance is an exceptional achievement when considering that the movement itself was fundamental to European art of the past 600 years. The artist came from close to Venice and this was one of several key regions during the Italian Renaissance, with Florence and Rome also supplying larger numbers of artists who had been trained with in their academic art schools which had been setup and served within by previous Italian masters. Titian competed with Michelangelo during his own lifetime for the largest commissions. Fortunately the former was mainly involved with foreign clients and, as such, their paths did not cross too often. The likes of Rembrandt, Caravaggio, Peter Paul Rubens and van Dyck were all inspired by the innovative work of Titian. It was his impressive use of bold colour, striking compositions and various new brushwork techniques that helped Titian to stand out. Titian was a contemporary to Giorgione who would die in 1510. This was a setback to Titian's development but also offered him the opportunity to dominate the work available in Venice at that time. It has been argued that Giorgione's passing gave the artist a chance to come out of the shadows and really stamp his own ideas on his career. Whilst entirely unique in his style during that period of European art, comparisons can be made to both Rembrandt and also Velazquez in terms of aspects of his portrait paintings, specifically. Titian's reputation remains respected and sits alongside other masters from that period like Michelangelo, Raphael and Leonardo da Vinci. They were happy in the main to pass on their skills and observations to the next upcoming generation who aimed to continue the work that they had done to promote their particular region of Italy which at the time was a significantly more provincial region. Assunta was a painting which helped springboard Titian into the highest possible league of artists across Italy having spent two years to deliver an incredible piece of art which existed in three levels of composition and included exceptional detail across a multitude of religious characters that set the scene for an important moment in the Christian faith, which at the time was the major player in commissioning private works thanks to it's huge wealth and power. It is hard to categorise Titian's style as he changed considerably over the period of his career and also consistently approached different subjects for his work, so religious themes, portraits and landscapes are all prominent within the list of his very best paintings which can be found further down the page. There are also considerable numbers of images within this website which show off his finest works in all their glory and we have carefully chosen around 30 of his best to include here. The success of Titian and his dramatic paintings can be demonstrated by the institutions which now hold most of his major works. Key galleries and museums across Italy, Spain and the UK who boast Titian originals will hold them in as high regard as almost any artist thanks to the qualities that he held as an artist plus also the strong legacy which he left on many future generations of painters all the way up to the contemporary and modern art movements which we enjoy today. Towards the end of his career Titian had grown to become more and more self-critical which led to some eccentric behaviour and an inability to release work as he was never entirely satisfied with what he had produced. He would also become more involved with his artists to a negative effect and not allow them as much freedom of expression as he had enjoyed. Despite all this, this attention to detail in the extreme actually allowed him to produce paintings of exceptionally high quality. Please see below for a summarised list of the best Titian paintings that are featured throughout this website. Disclaimer: Titian.net is a personal website covering the career of famous Italian artist Titian, but is in no way an official website for Titian and Titian.net does not claim to be that in any way. The Estate of Titian and their presence hold all necessary copyrights and licences for all of his paintings and other works. All prints, paintings and photos included in Titian.net are provided as an affiliate to Art.com who hold necessary permissions. Art.com pay us small commissions based on any prints or paintings that you buy as a result of using this website.